A country-rock milestone is the 122nd most acclaimed album of all time. Come out on your porch or we’ll step into your parlor and we’ll tell you how it all went down. Klinger: Gram Parsons. There are few words in the English language that conjure up as much critical saliva as those two right there. Gram Parsons. From a critic's perspective, this was a guy who had it all: the perfect backstory, the right look, the impeccable taste, the ability to blend in easily with rock royalty, and of course the tragic demise at a crucial juncture in his career. And as we see here on Grievous Angel, his first appearance on the Great List, he had an astonishing talent for songwriting and interpretation. Of course, if you're stumbling across Grievous Angel based mainly on its critical reputation, you might well be taken aback by the high levels of honky-tonkery found here. Parsons was steeped in country traditions like one of those jars of tea people leave out in their backyard all day. (Pro-tip: those jars are not for passers-by to wet their whistles. Trust me.) And I could see where that might be daunting. So Mendelsohn, as someone whose belt buckle is just regular sized, how did you enjoy Parsons' final burst of Cosmic American Music? Really? Cosmic American Music? Was this dude on drugs or something? I'm just kidding, of course he was. Seriously though—Cosmic American Music? I will never, ever truly understand the ’60s. Or in this case, the early ’70s. I honestly don't know where I stand on this record. I've been alternately blown away, honest to God, just blown away by a record that sounds like it completely stepped out of place and time and then the song changes and I find myself wondering what it was that made that song seem so special in the first place. And then I think about Parsons' backstory—which, by the way, I find completely engrossing, so much so that his myth might just equal his music in its audacity alone and this is coming from the guy who thinks the music should always trump the myth. But Parsons takes it to an entirely different level. This dude got kicked out of the Rolling Stones' house for doing too many drugs. The Rolling Stones kicked Gram Parsons out of their house because he was the one doing too many drugs. The Rolling Stones were recording Exile on Main Street in a big house in France with a bunch of people who were all doing drugs with the Rolling Stones and the person they kick out of the house is Parsons. I know, I'm repeating myself, but that fact alone boggles my mind. Klinger: We may never know the exact circumstances behind Parsons' sudden departure from the Stones' inner circle, but I suspect that part of it was Mick getting jealous of Gram and Keith getting all BFF with each other. Regardless, the Parsons saga is full of fascinating twists and turns—from his wealthy, alcoholic, doomed family to his stint at Harvard to his attempts to force a bit of country traditionalism into the hippie dream, and then onward to his own fatal overdose—and it’s that story that makes him way more than just Keith Richards' drug buddy. 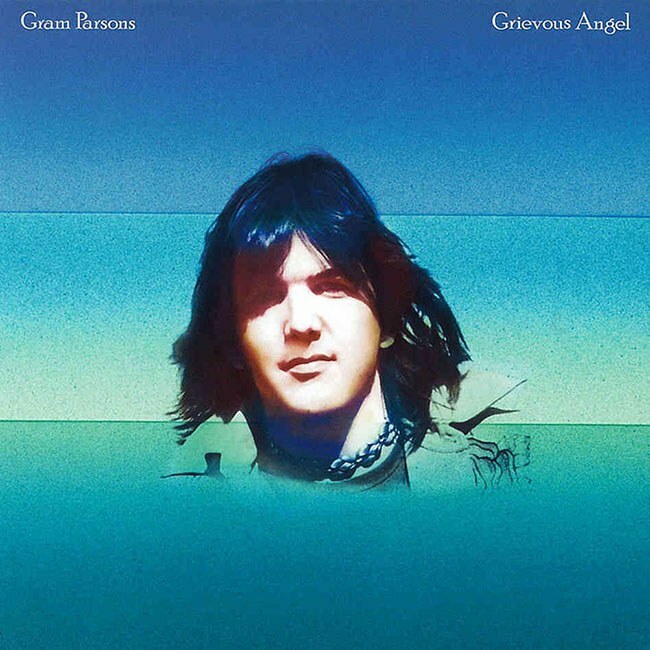 It's interesting—Grievous Angel is actually something of a hodgepodge of leftover tracks ("Ooh Las Vegas"), covers ("I Can't Dance"), and retakes of earlier Parsons compositions ("Hickory Wind", "$1000 Wedding"), and yet it's evidently the more iconic of his two solo albums. That could be down to the fact that the album was released posthumously, generating even more reverence than it might have normally received. But the true believer in me wants to believe it's because there are a couple of bona fide classics there amid his newly written songs. "Return of the Grievous Angel" does just the right amount of self-mythologizing to make Parsons seem like his place in the pantheon had always been assured. "In My Hour of Darkness", meanwhile, is pretty close to being one of those songs that seems like it has always been with us, the kind where it's hard to imagine that a regular person just sat down and wrote it one day. You could have told me that it was written by some Presbyterian minister in the 1880s, and I might have been willing to go along with you (the chorus, anyway). Mendelsohn: Irrespective of the real reason the Rolling Stones gave him the boot, claiming it was because of his prodigious drug use is sort of telling. And it wasn't just drugs that Parsons had trouble with, there was also the women, notably his wife Gretchen and her unease with Parsons' professional relationship with Emmylou Harris. And without Harris pushing Parsons and his band to rehearse and record, Grievous Angel might never have seen the light of day. The record was only released after Gretchen rearranged the track list, pushing "In My Hour of Darkness", a song Harris helped to write, to the back of the album and picked new cover artwork that didn't include Harris in order to minimize her official presence on the record. Klinger: You know, in all fairness to Gretchen Parsons, I think I'd be deeply disturbed if I had to listen to my spouse sing songs like "Hearts on Fire" or "Love Hurts" with all of the empathy and compassion that Parsons and Harris are showing one another here. If Hollywood were to make a Gram Parsons biopic (which seriously, what's keeping them? ), Emmylou would be portrayed as (this being Hollywood) an almost caricatured angel representing the forces of goodness and light, the one person who could keep Gram on the rails and fulfill his legacy. Mendelsohn: So let's recap. In Parsons we have a troubled musician who has a tempestuous relationship with drugs and women and enjoys a bit of self-mythologizing. This sounds awfully familiar. Right around the time Parsons was trying to make everyone in the rock world take country music seriously, there was another singer trying to make the rock world take his poetry seriously—one Jim Morrison of the Doors. We talked about the Doors very early on our excursion into the Great List but Morrison never held the critical cachet that Parsons seems to effortlessly exude in certain circles. I find it interesting that these two men had similar lives and came to similar ends at almost the exact same time but inhabit nearly opposite ends of the same rock 'n' roll spectrum. As far a self-mythologizing goes, Morrison actively courted the myth and wound up the idol of teenage boys while Parsons merely hints at his myth in his music with lines like "the music he had in him a very few possessed". As I start to unpack the backstory further, the untouchable sheen of Parsons’ talents starts to tarnish and I'm left wondering if the critical appeal of Grievous Angel is based on how the critics wanted to view Parsons, as opposed to the real artist he was. Would this record still be as loved if Parsons wasn't so completely self-destructive? If this album had been billed as joint project between Parsons and Harris as originally intended would we be having this conversation? Klinger: Well, I'm not really sure why you're dragging that lunkhead Jim Morrison into this, but I'll see if I can address this. Parsons wasn't writing about himself in "In My Hour of Darkness" (the verse you're referring to was most likely about former Byrds compatriot Clarence White), but it is easy to see how that imagery came to represent Parsons after Grievous Angel was released posthumously. But Parsons achieves his cachet mainly due to something I mentioned earlier—his unimpeachable taste, which endowed him with a force of will that Morrison's narcissism can't match. Parsons was originally tapped to add a bit of piano to the Byrds' Sweetheart of the Rodeo, but he ended up the de facto leader of the group during his brief tenure—more on all that this time next year. His depth and breadth of knowledge lent an air of authenticity to the Stones' rootsified efforts. Later, by using musicians like the astonishing James Burton and Ronnie Tutt (who split their time between Parsons and some guy named Elvis Presley), he was able to establish a certain credibility that would stand the test of time. As the paradigm shifted from psychedelia to roots music, Parsons reveals himself to be a transforming figure. Mendelsohn: I think the Morrison/Parsons comparison is easy to make—for obvious reasons—but it also illustrates the many entry points into rock 'n' roll mythos. Parsons took the path less traveled, seeking to bring the divergent strains of rock 'n' roll and country together under the umbrella of Cosmic American Music. I guess in that respect he was wildly successfully, not wildly popular, mind you, as he failed to achieve any sort of real commercial success unit after his death. But as the old saying goes, you never know what you had until you lost it.